In “Plan B,” the pilot episode of Master of None, Aziz Ansari’s new, execrable half-hour comedy series, from Netflix, two quirky New York singles make a trip to the corner drugstore, to buy the eponymous pill. Both are on the precipice of 30, childless and unmarried by choice at the age when, seemingly, even the most metropolitan of friends is either getting married or having kids or both. In a fine joke, he offers to pay. “My treat!” he exclaims. For the lovelorn of major American cities, the scene should be familiar–the purchase of Plan B is to singledom what buying your crush a malt once was; it’s rote. And yet, bizarrely, the two leads sputter and gloom like college freshman, as if they’re in the waiting room of an abortion clinic, not at the pharmacy counter of a Duane Reade. What could have been a clever, insightful dramatization of modern life instead becomes dull and trite, an eerily tone deaf observation by one of comedy’s most deft observers. Like the scene writ large, the remainder of Master of None is just this: neither funny nor smart, but a lazy approximation of the two. Needless to say, the show has been met with universal acclaim. Like Louie, on which the show is shamelessly modeled, Master of None operates as a fictionalized biography of its creator, where a character much like Aziz Ansari moves through a slightly off-kilter New York City. Dev (Ansari), an Indian-American actor, is a successful but unfulfilled commercial booker, butting up against the prejudices of the film industry and living in an apartment whose extravagance makes the apartments on GIRLS look like tenement homes. Until his love interest appears later in the season, the show’s second lead is played predominantly by Dev’s cell phone, with considerable portions of early episodes overly propelled by or concerned with his text message conversations. The rest of the cast is refreshingly diverse but vividly boring, as flatly wooden as laminate floors. Dev’s friend circle includes Brian, an Asian American; Denise, an African-American lesbian; and Arnold, a towering, white oaf; so it’s a shame deeply felt that the writing abandons its colorful cast to a monochrome of dud jokes and C- story lines. In fact, aside from the show’s title sequence, a pleasingly minimalist text animation, nearly everything that transpires onscreen registers as a missed opportunity. The subject matters (male feminism, interracial dating, systemic racism in the arts) are complex and timely, but these topics are often addressed too simply, resolved too neatly. There are real whiffs of after school special coming off of Master of None. The technical aspects fare no better. Because in relation to its tone, the aesthetic of Master of None is psychotic—a dim, gentrified nightmare zone, like David Fincher directing a Dos Equis commercial; visually, the show is closer to House of Cards than it is to Parks & Rec. Why this was chosen as the most apt backdrop for discussions about Yelp reviews of taco trucks is anybody’s guess, and, discounting a handful of more formally playful flashbacks, majority of the show is presented from beneath this drab veil. It’s an unfortunate reality for the fiction, one that becomes doubly confusing when you consider the persona of its creator. Ansari’s career to this point has been built on a frenetic, physical comedy, on a personality and intelligence and heart exponentially larger than their package, but at every turn the show seems at odds with its creator’s essence, his agog fascination and exasperation with white America in the present century. It’s like letting loose a peacock in a pitch black room, or at least a very, very dim one. So why, then, has Master of None been lauded from all corners? Why would a show that, at its best, works as a bad knockoff of Louie, be more widely and positively reviewed than Louie? The largely theoretical answer could be read as either a discouragement or an encouragement, depending on one’s disposition, and it probably has something to do with the transfer of cultural capital in media from one generation to the next. To simplify greatly, Master of None has benefited from a decades-long rise to prominence by the New York-based alt comedy scene of the mid-to-late 2000s, a movement, since relocated to Los Angeles, that introduced a certain type of comedy devotee to names like John Mulaney, Jenny Slate, Nick Kroll and Joe Mande, all of whom happen to be some of the funniest people on the planet. That said, this doesn’t exempt them, or Ansari, from the trappings of success. With his 8 million Twitter followers and sold out shows at Madison Square Garden, Aziz Ansari is probably alt comedy’s most famous commodity, but even the lesser knowns of the scene now occupy traditional positions of power in entertainment, the ideal gigs to which their younger selves aspired. They’ve starred in horrible sitcoms and excellent films and episodes of Modern Family, which simultaneously drew the comedy establishment closer to alt and alt closer to the establishment. For many comedy tastemakers, alt comedy has essentially become the baseline comedy, with shows like Workaholics and Bob’s Burgers and Community running for literal decades, whereas even a generation earlier they’d be cancelled after a season. This has made for a weirder, richer comedy landscape than ever before, but it’s also encouraged complacency, edge-dulling, and sycophancy in the former comedy vanguard. Master of None may be the final subsumption of this movement by the media machine, its culmination and in other words its death. Most everyone who’s reviewing it or promoting it is connected to someone else who worked on the show, so an echo chamber results. It is power consolidation at its purest, but you’re kind of fine with it because those consolidating power totally deserve it. You just wish they’d used that power to make a better show than Master of None. 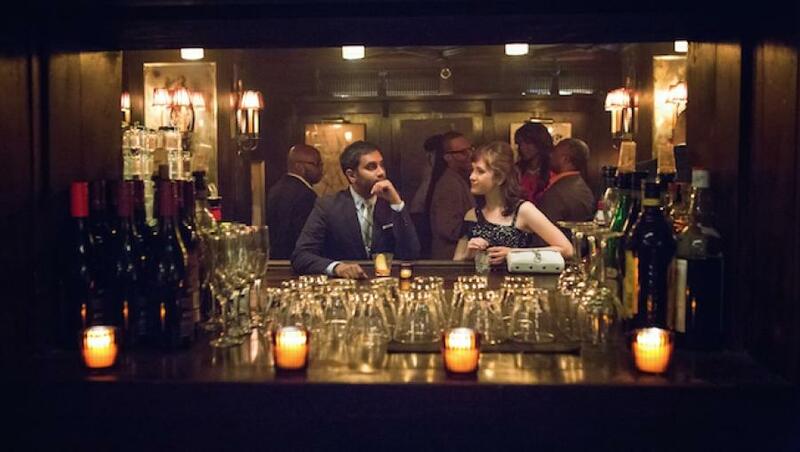 In a recent op-ed for the New York Times, Ansari wrote candidly about the issues of acting, race, and Hollywood, the same topics that form the discursive bedrock of Master of None. He justly argues that, in an age where nearly 40% of Americans are minorities, film and television roles should reflect those statistics. “When Hollywood wants an ‘everyman,'” he writes, “what it really wants is a straight white guy. But a straight white guy is not every man. The ‘everyman’ is everybody.” This is a correct, vital sentiment, but it’s also one that Ansari’s own show discredits with its trenchant mediocrity. Not funny.